Donate to Wichita Adore Ministries Below! Wichita Adore Ministries Needs Your Help! Christ is urging us forward, and towards bigger and more exciting ministry. We seek to bring more people face to face with Christ, but we need your assistance. We need your help. Christ is asking us for faith - faith that He knows what He's doing with us and where we're going. It seems He's asking us to press onward once again! Wichita Adore Ministries, Inc. is a non-profit 501(c)(3) organization; donations can be used for tax-deductible purposes, provided no goods or services have been tendered. Please contact jelpers@wichitaadore.com for any questions or needs, and we will do all we can to help. We sincerely hope that you will join us in praying in support of this crucial ministry - every person can benefit from a genuine encounter with the heart of Our Lord. We also ask that, if you are able, you consider supporting Wichita Adore. 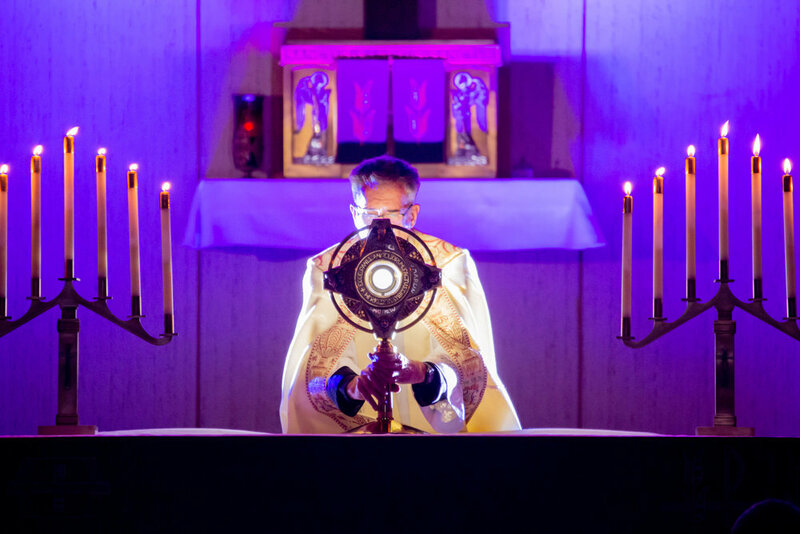 Wichita Adore Ministries hopes to continue to provide events all over the state, Midwest, and nation, and it is our goal to make these events as financially accessible to parishes and programs as possible.